Huge Congratulations to, Alison Perry, Senior Research Midwife in the Women’s Health Research Centre who has been awarded an NIHR Pre-Doctorate Fellowship. The HEE/NIHR Pre-doctoral Clinical Academic Fellowship is a new two-year award designed to equip clinicians with the skills and expertise required to develop a high-quality doctorate proposal, whilst remaining clinically active. “ I became a midwife to contribute to the improvement of women’s health. The ways in which we individually and collectively make big-picture contributions to improving women’s health while working clinically are not always clear. Working for several years in clinical research in the Women’s Health Research Centre, however, has connected me with the pathways and opportunities to now lead my own research. My particular area of interest is around the transition that women make to motherhood and the way in which we support this transition as midwives, maternity care providers and as society. Bio-medical aspects of birth have become increasingly well-researched and I am keen to contribute to research on the broader anthropological issues influencing childbearing and to support women to collaboratively direct the course of maternity services through research. This fellowship award will allow Alison to undertake a bespoke training package including; the development of her research interest around well-being and motherhood, key coursework, attend conferences, develop academic collaborations and ultimately prepare a competitive PhD application for future funding. 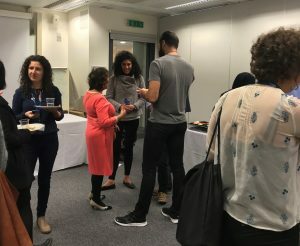 Around 150 people came together on Wednesday 10th October for the launch of the newly established Healthcare Professional Academic Group (HPAG). This group formed with input from the AHSC and CATO has been driven forward by Professor George Hanna of Surgery and Cancer and will be the academic hub in the Faculty of Medicine for clinical academics in the healthcare professions. 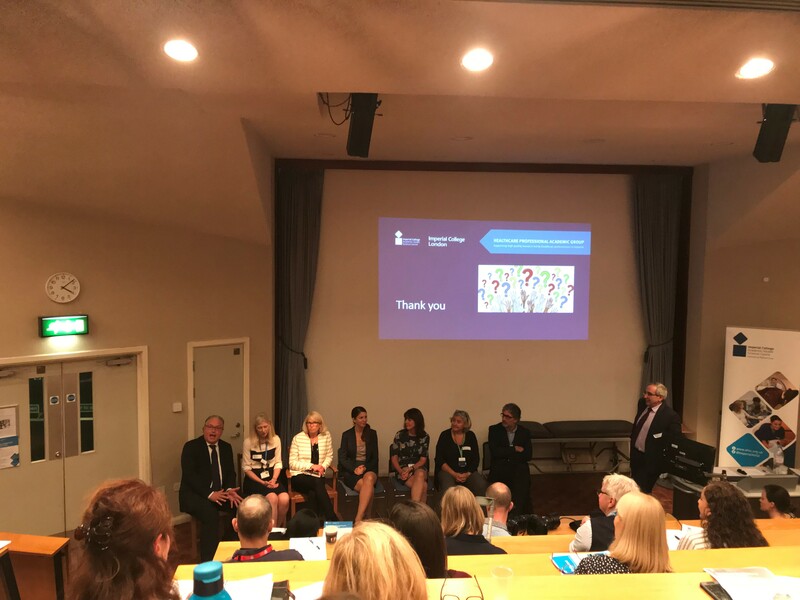 Its mission is to grow the number of clinical academic leaders from across the Imperial College AHSC in nursing, midwifery, pharmacy, healthcare science and the allied health professions. Professor Jonathan Weber, Dean of the Faculty of Medicine and Director of the AHSC opened up the event making it clear the importance of addressing the challenges faced for healthcare professionals in research and the importance of this newly formed group. He also made it clear that a key focus and feature of the AHSC going forwards would be nursing, midwifery and AHP research. Professor Janice Sigworth, Director of Nursing at Imperial NHS was the first up with her talk entitled ‘A Dream Come True’, an outline of her career and the work that she has done and her hopes for the future within nursing. With nursing being the largest group in the medical field, she made a clear point that is is vitally important to have more leaders and with the formation of the HPAG, the hope is that this becomes possible and that more people can be given the support they need to progress forwards. Professor Pernilla Lagergren, Chair in Surgical Care Sciences (S&C) and Chair of the HPAG gave a hugely inspirational outline of her career in her talk ‘From Forest Girl to Professor’. Coming from a non-academic family, Pernilla started her career as a nurse to being a specialist nurse for oesophageal cancer patients. This then led her into the academic field and in 2004 started her PHD. Research being the key to open doors as a PHD student was a key factor in Pernilla starting her own group which is still a big part of her career to this day. At the age of 34, she became Professor Pernilla Lagergren. Pernilla really stressed on the fact that research is not a ‘one person show’, the involvement of many people together makes it work and with this people need to be recognised for their contributions and successes should be shared and celebrated (especially with cake). Caroline Alexander, Lead Clinical Academic for Therapies in the Division of Medicine and Integrated Care gave an insight into the training research opportunities available for clinical staff. through Imperial College NHS and Imperials Clnical Academic Training Office (CATO); a whole range of support available. After a break for tea and cake which gave a great opportunity for networking, session 2 of the event was opened up by Professor Mary Wells, Professor of Practice (Cancer Nursing, S&C) who introduced four healthcare professionals who spoke of their journey pursuing Clinical Academic careers; Calendra Feather, Research Nurse, Huw Woodbridge, Physiotherapist, Dr Gillian Chumbley, Consultant Nurse and Dr Lina Johanssen, Dietician and Clinical Lecturer. All four accounts completely different and challenging in their own ways but one clear similarity was spoken off, how it was not a straight road and very often a very lonely road to be on. We ended the afternoon with Professor George Hanna giving closing remarks and opening up for a Q&A session with the members of the HPAG. With some time to grow and with support, the HPAG looks bright for the future of healthcare professionals and this group is a really good opportunity to bridge the gap and provide the much needed support and guidance to those considering furthering their careers. For further information on the HPAG, events, and how to become a member please visit their web page for more information. 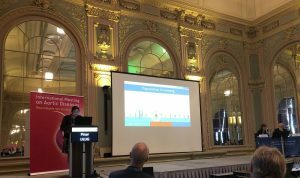 Dr Pinar Ulug Pinar Ulug of the Vascular Surgery Research Group participated in the abstract competition at the 6th International Meeting on Aortic Diseases (IMAD), which took place from 12-14th September 2018 in Liège, Belgium. Pinar’s e-poster, titled “Should we screen women for abdominal aortic aneurysm?” was selected by the organisers to be presented as a short communication in the main programme. She was awarded the Frank Lederle prize for best short communication on epidemiology of abdominal aortic aneurysm. 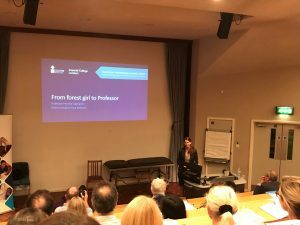 2018 Athena SWAN lecture: Equality, Diversity and Inclusion – What does It Mean in Our Time? A full lecture theatre of over 150 people were in attendance on Wednesday 26th September for the departments Athena SWAN Lecture: Equality, Diversity and Inclusion – What Does it Mean in Our Time? 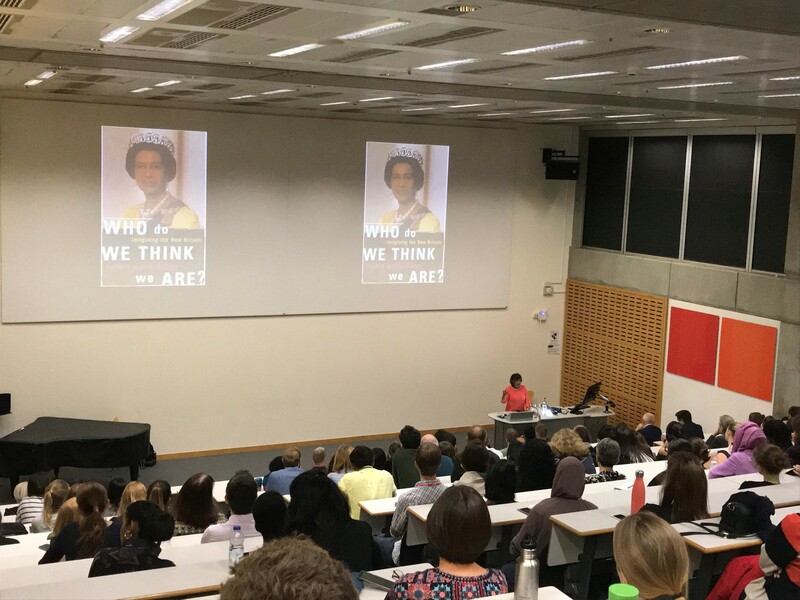 After an opening speech by Professor Lesley Regan, we welcomed award-winning radio and television broadcaster and journalist, Yasmin Alibhai-Brown to give this interesting and thought-provoking lecture taking us through the history and change in equality, diversity and inclusion up to the current day. Yasmin, exiled from her birthplace, Uganda in 1972, which had led to interests in race, identity, health, exclusion and diversity. She has written for several newspapers including The Guardian, The Observer, The New York Times, Time Magazine, Newsweek, The Evening Standard and The Mail and is now a regular columnist on The Independent. She is author of several books including No Place Like Home; Who do We think We Are? ; Mixed Feelings and After Multiculturalism. Yasmin has ties with Imperial College and was co-chair of a major Imperial College/Health Trust research project on patient safety. Closing remarks came from Professor Mark Thursz before a lunch spread allowed attendees to ask questions and discuss issues in further detail with Yasmin. After being associated with Imperial College for more than 20 years, Professor Wendy Atkin has retired from the college and takes up the title of Emeritus Professor conferred on her recognition and appreciation of her service to the College. Prof Atkin held honorary appointments while working at the Cancer Research UK Colorectal Cancer Unit, St Mark’s Hospital, Harrow and subsequently moved to the St Mary’s Hospital campus in 2008 to establish the Cancer Screening and Prevention Research Group (CSPRG). This is an internationally-renowned, multidisciplinary group undertaking research focusing primarily on bowel cancer with the ultimate aim of reducing the numbers of people diagnosed and dying from the disease. One of Wendy’s large trials, The UK Flexible Sigmoidoscopy Trial was integrated into the the English National Bowel Cancer screening programme. As a very active member of many committees and advisory boards, Wendy has had significant influence on the organisation and delivery of screening programmes and the management of colorectal disease, both nationally and internationally. Wendy’s contributions have been recognized by many. Alongside being awarded the BSG President’s Medal from the British Society of Gastroenterologists in 2011 and the Bengt Medal from the Swedish Society of Medicine in 2012, Wendy was honoured with an OBE for services to bowel cancer prevention in 2013 before being made a fellow of the Academy of Medical Sciences in 2015. Words shared from Professor George Hanna, Head of Division (Surgery) ‘we are fortunate to have Professor Wendy Atkin in the Division of Surgery and the societal impact of her work will last with millions of people’. We all thank Wendy for her dedication and the enormous contributions made. Dr Amanda Cross has taken on the role of Head of CSPRG. Amanda started working with Wendy in 2015 and continues to combine her work with the CSPRG with her on-going role in the School of Public Health. Wendy was very conscious of how all the work would be continued and how to make best use of the valuable data resource that has been collected during the running of her large clinical trials. She wanted Amanda to be part of the ‘succession plan’ for the CSPRG and as such, her recent programme grant application to Cancer Research UK and her other project grants with NIHR, were made with Amanda as Joint Lead Investigator.